It's been a noteworthy week for Shinedown. Yesterday, we reported that the band is headlining this year's Avalanche Tour with support from Adelitas Way, New Medicine and Art of Dying. 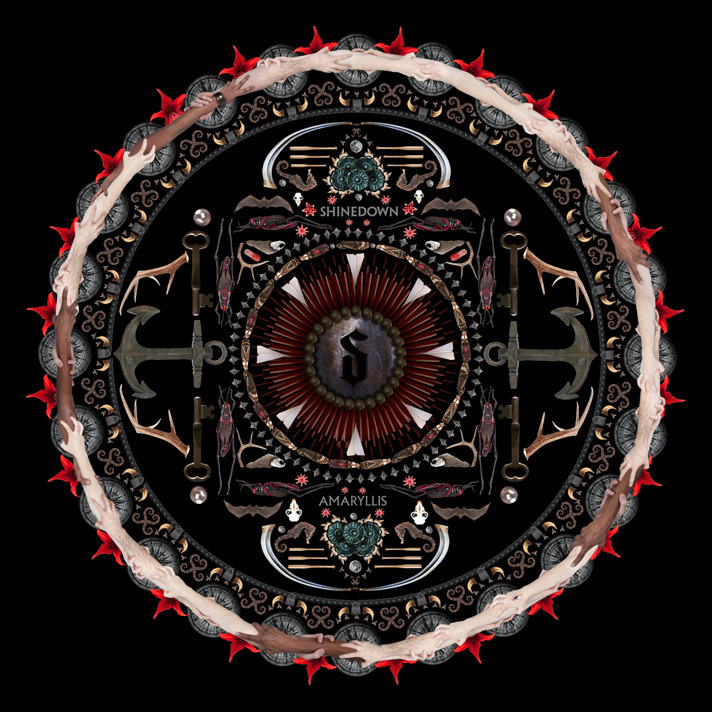 Now, Shinedown have revealed the cover art to their upcoming album, ‘Amaryllis,' due March 27, and offered fans a first listen to snippets of six new tracks. The intricate artwork, shown below, seems to promote a message of unity with interlaced hands bordering the bands logo centered in the middle, but the band has yet to comment on the symbolism. It does seem to fall in line with what lead singer Brent Smith said said about the making of the new album though, describing it as: "A message of empowerment, perseverance, and inspiration that I think speaks to fans that have been with us since the beginning as well as those who are just learning about who we are and what we're about. I can't wait for the world to hear it." Shinedown will also make an appearance on ABC's Jimmy Kimmel Live! on March 26 to perform their first single 'Bully' on the show's outdoor stage. It will serve as the first live performance of the song. Read our review of 'Bully' here.